We've all been there: you're sitting at the airport, waiting for your connecting flight…and all your devices die on you. At the same time. 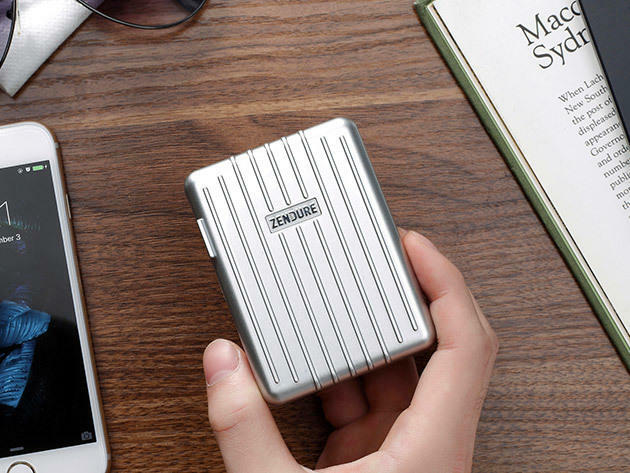 That's why this Zendure 40W Max A-Series 4-Port USB Wall Charger is so essential: it boasts a lightweight, compact design that makes it the perfect on-the-go charging solution, and you can grab it now for just $32.95 (regularly $39.95). This handy device plugs into one single outlet to accommodate up to four USB devices at once, meaning you'll refill multiple device batteries in no time. It's also particularly travel-friendly thanks to its compatibility with both EU and UK outlets, so you can easily travel anywhere in the world while keeping your devices juiced. You can utilize its Quick Charge 2.0 technology to charge up compatible devices at lightning-fast speeds, plu utilize the multi-faceted protection system to guard against overheating…making the Zendure perfectly safe to use for any of your adventures abroad. Fast-charging, safe to use, convenient, and compact — what more could you want from a travel charger? Grab the Zendure wall charger now to stay powered up the right way…only $32.95 for a limited time.